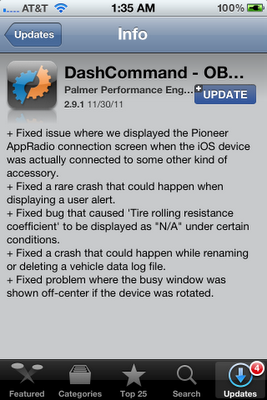 The developers of DashCommand have pushed an update to their iOS app. The new version 2.9.1 promises a variety of bug fixes. I haven't encountered any of the bugs reported in the update but I have already updated the app. 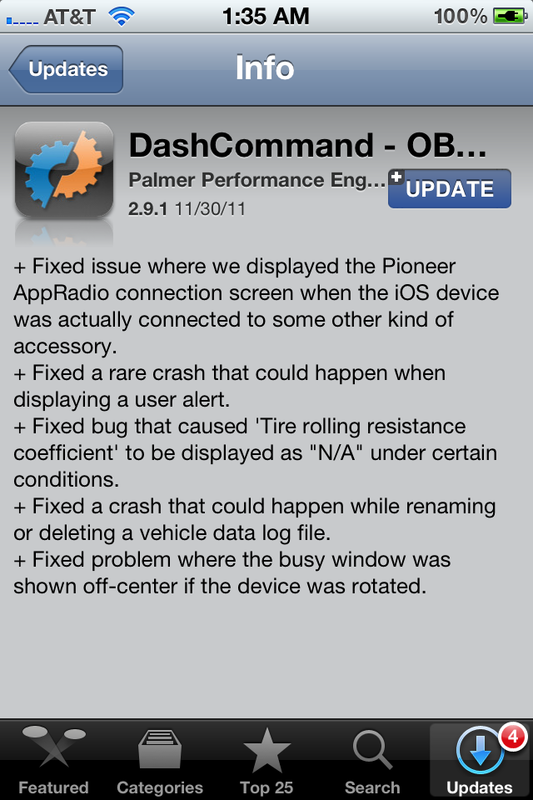 Hopefully this update fixes the AppRadio freezing issue I had a couple of days ago. As always, the update is free for current app owners. Happy updating!